I'm pleased to offer the fans of my blog part seven of a brand-new crime story that features roadie / PI Lenny Parker, a fat tattooed slob with a heart of gold. I had my Dodge Ram parked a few blocks from the convenience store. Mikey had agreed to stake out the store from his Chevy. Nina was around the corner in her Mini Cooper. With me now known to Melissa I figured it would be best if people she didn’t know kept an eye on her. My friends are great. 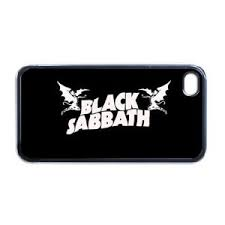 My cell phone played a riff of Black Sabbath’s Iron Man. I answered it. Nina told me Melissa had just been picked up by a man that fit Beck’s description. I called Mikey and told him what I expected. A few minutes later I saw Mikey’s Chevy pass. He was right behind Beck’s Audi. I started my car and drove away, keeping a few cars behind Mikey. Old Man Jackson would have been proud. Every now and then I slowed down a bit. Sometimes I parked the car a few minutes. After a while Mohawk picked up the tail from Mikey and gave me a call of their location. After a while it was Mikey again who called me to tell Beck and Melissa had parked their car at a fleabag motel in Culver City. I drove over there. Mikey was still in his Chevy, parked in front of the motel. I parked next to his car and got out. Mike opened the door of his Chevy and I sat next to him. “Thanks for doing this, dude!” I told him. 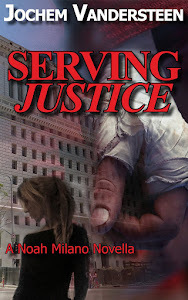 First Frank Boff novel for free!